This is the plain, unadorned map with all the biomes shown up to the borders. It might be a good idea to have a blank map with no villager heads. Good point, this was made by stitching a lot of different amidst screenshots together, might be a pain in the arse to get another one of such size without the villages/temples marked on it, but im sure in the mean time we can. Can confirm. I got overly excited and decided to try to make a clean one... The process is so tedious, and it would mess it up worse. I know I'm new and maybe shouldn't be asking for anything but. 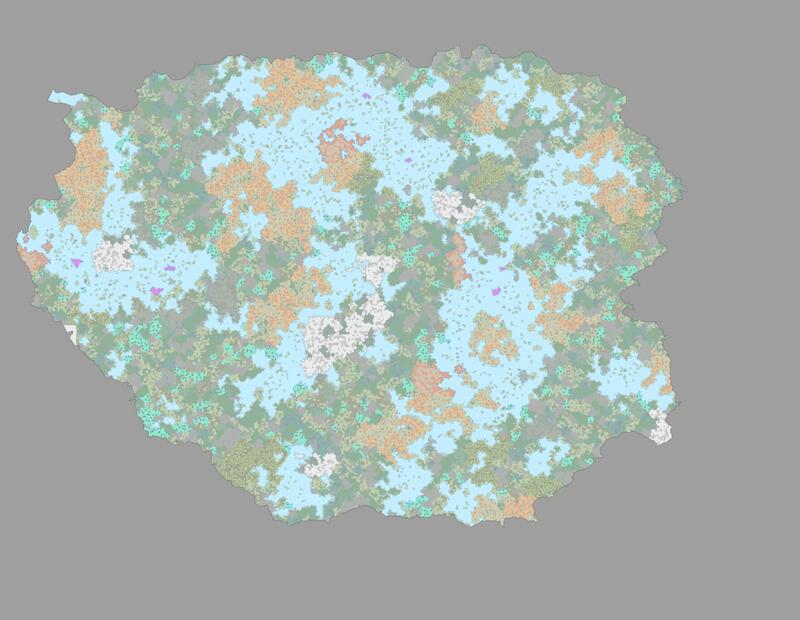 Could you please give us a key about the biome colours and such? If it's not to much hard work, of-course. I believe this should help! Here's a link with the Biome colours! oh beaten to it ! Thank you both, I'll start checking out the highlands for whatever kingdom offers me a home.